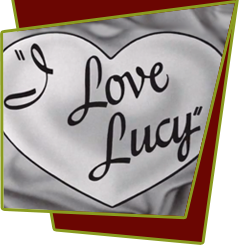 Lucy is at a disadvantage when her husband's Cuban friends, Carlos and Maria Ortega, visit: "Lucy's espanol is a sad sampling of pigeon Spanish. When she learns that "little" Renita Perez, with whom Ricky once danced in Cuba, is arriving in town, she insists he dance again with her, claiming it will "help the good neighbor policy." What she isn't expecting is that "little" Renita has developed into a voluptuous senorita. Jealous, Lucy poses with Ethel as charwomen and they invade the Tropicana during rehearsals of "The Lady in Red" number, just to keep an eye on Ricky and Renita. Determined to keep the two apart, Lucy gets Fred to dress as a cabbie and take Renita on a "shortcut through Philadelphia" instead of to the club. At the Tropicana, when Ricky introduces Renita and her usual dance partner, Ramon, who will perform the "African Wedding Dance," Lucy appears instead of the sultry Latin. It's a funny few minutes with Lucy trying to escape the clutches of the voodoo-masked Ramon. Special Notes: Segments from this episode were used in the film Mambo Kings. Bloopers: When Ricky is translating what Lucy says for his Cuban pals, he accidentally repeats it in English instead of translating in Spanish and he starts laughing hard. This was a genuine goof by Desi Arnaz but it was left in. In the scene where Ricky is instructing the band how he wants the music played, you can hear what seems to be a child crying.